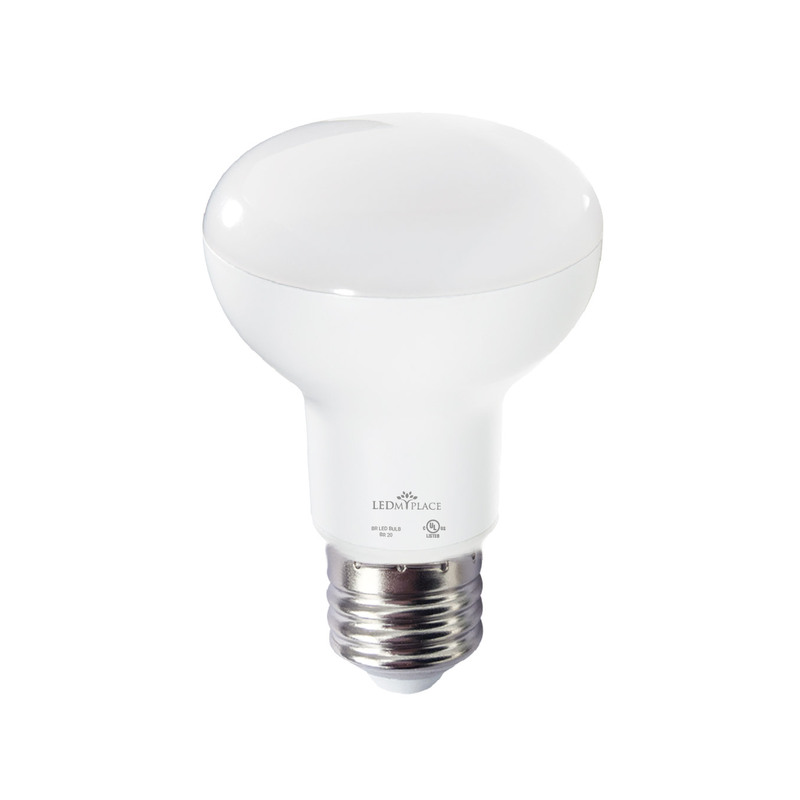 The LED R20/BR20 Light Bulb with a color temperature of 5000K and available to you in 7.5W can easily replace an incandescent bulb of 50W. 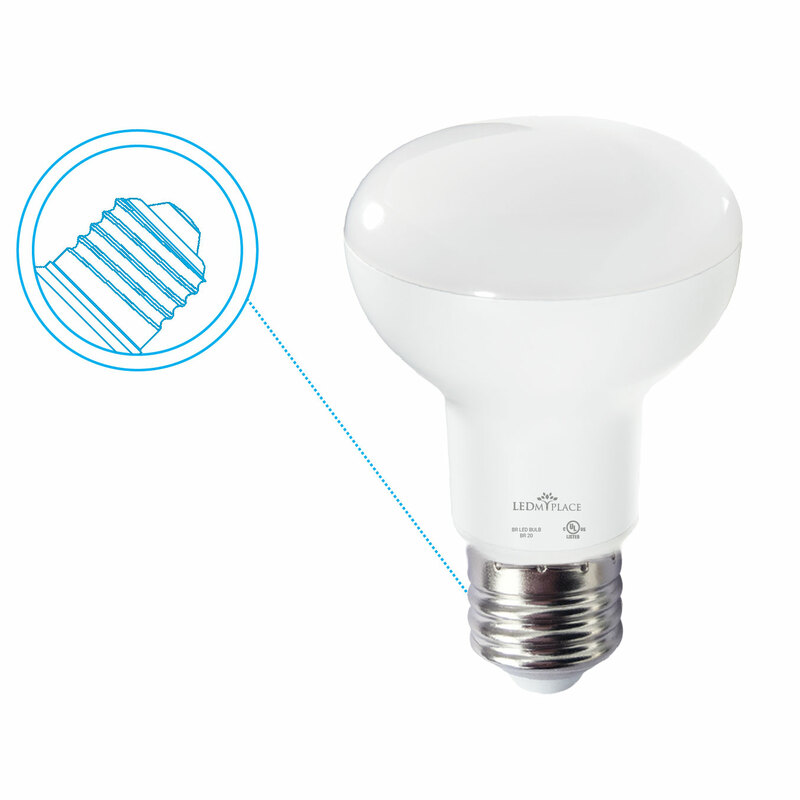 Having an E26 base, this R20 or BR20 bulb has a reflective coating on the inside to direct the light beam forward. With a wide beam angle of 90 degrees, it can illuminate wide spaces and can be used for general area lighting. 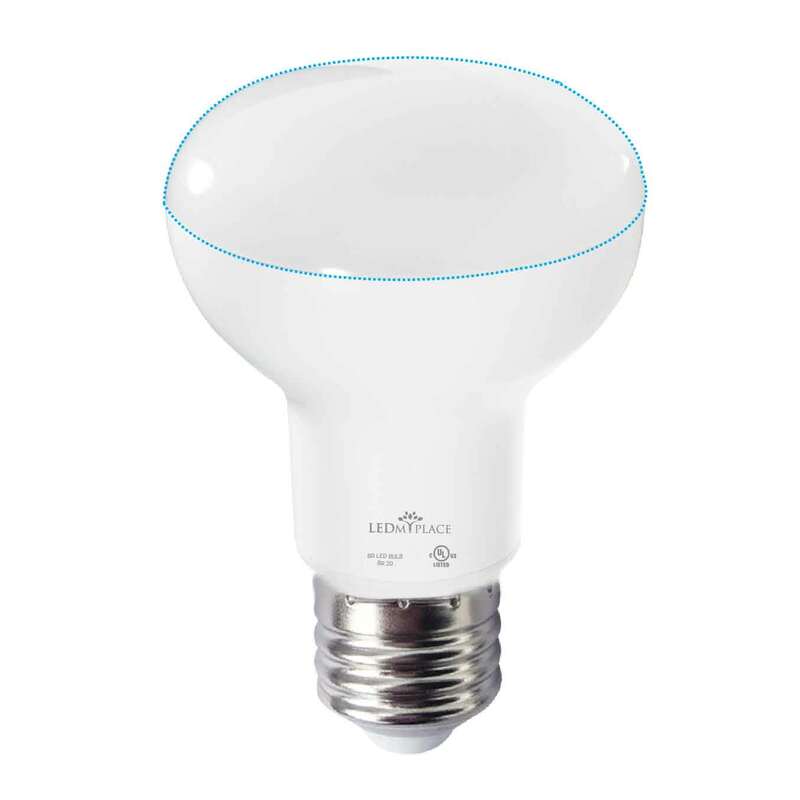 This bulb can reduce your energy consumption by 90% and can effectively be utilized for detail-oriented household work. While the bulb’s dimming capability allows you to dim the light from 0-10V during the downtime, a CRI of 80+ helps objects display their true colors when display lighting is your topmost criteria. 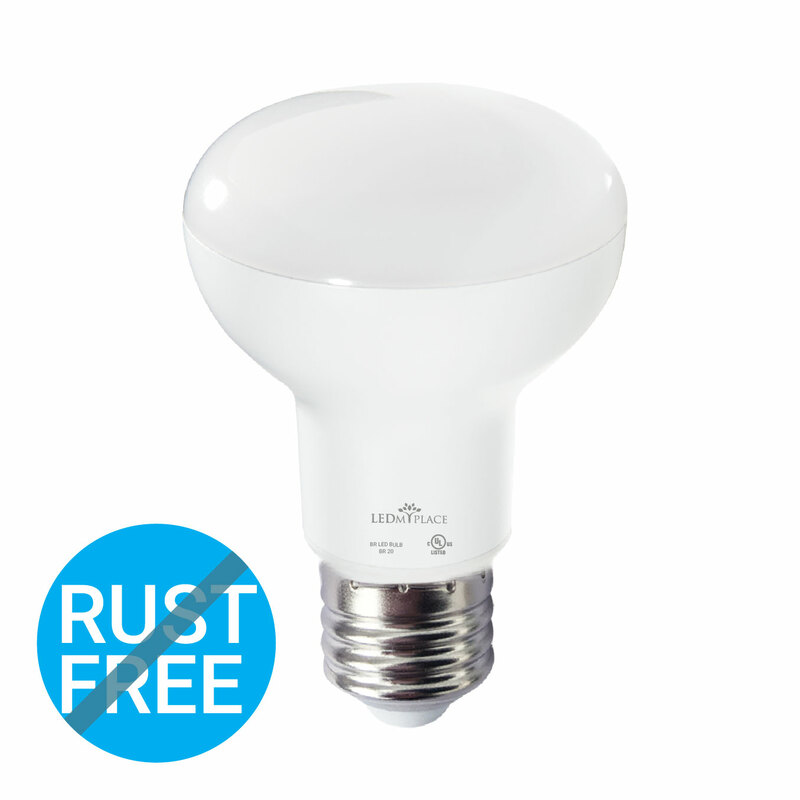 As UL listed product, this bulb guarantees its safety standard, allowing you to stay under safe limits. This product is available to you with a hassle-free, 5-year warranty period. 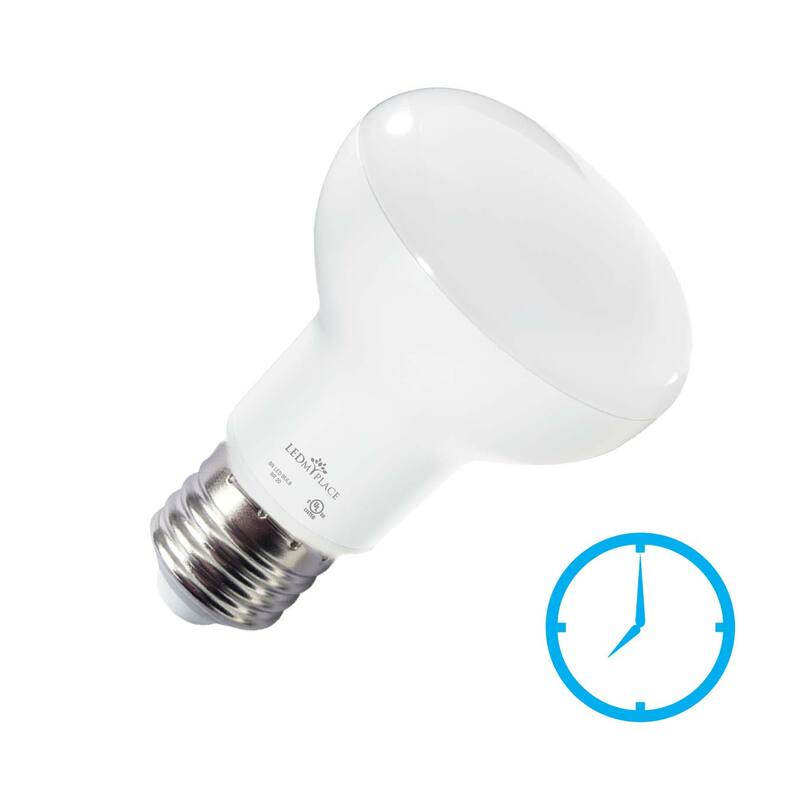 Long Lifespan: This bulb does not last less than 15,000 hours, providing you with a hassle-free usage and low-maintenance and operation costs. Energy-Efficiency: This product can bring significant reduction in your electricity bill, once you switch from any conventional light bulb to this one. 5000K Color Temperature: This color temperature can provide for neutral white-daywhite light enabling cosy atmosphere but more of a task environment. 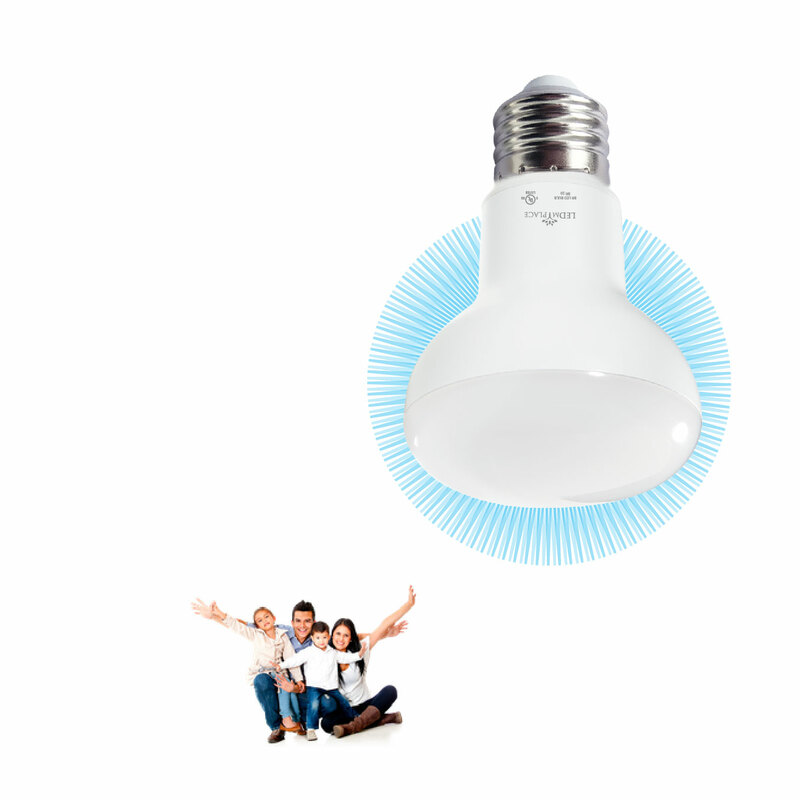 Pollution-Free: Free from any mercury in it, the BR20 bulb does not contribute to any environmental pollution. By thus saving the environment, you save yourself. 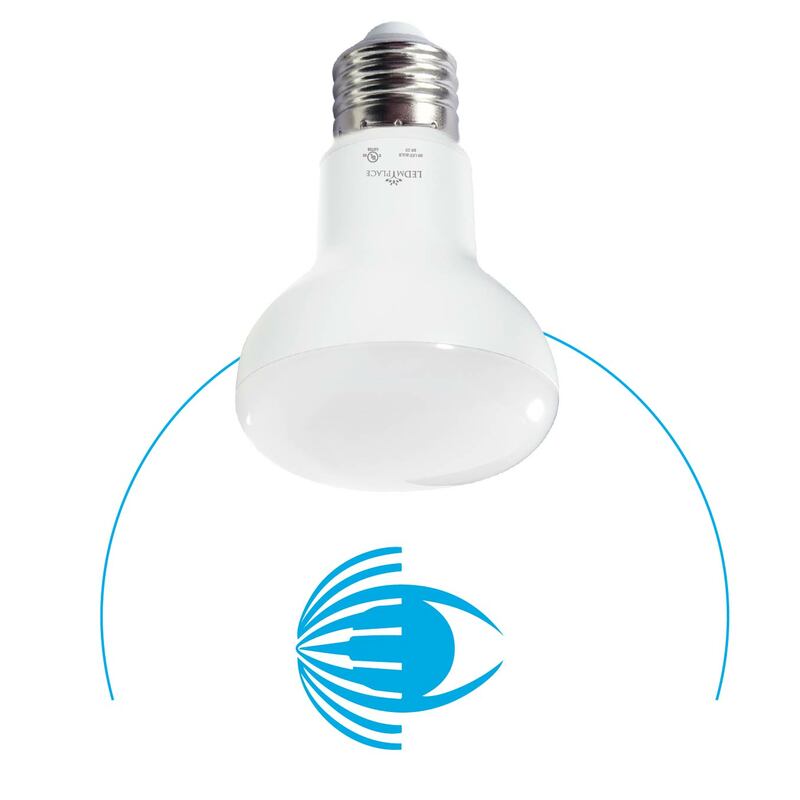 Safe Lighting: Free from any UV or IR radiation, this BR20 bulb does not cause any human health hazard and thus enables a completely safe lighting. Easy Installation: This BR20 bulb coming with a base type -- E26 can easily retrofit any regular incandescent light bulb fixture. Our bulbs do not need any warm-up or cooling down in extreme contrast with the traditional bulbs and hence have a higher operational efficiency. Thus, they are an instant-on. Our R20/BR20 LED light bulbs to come with a medium or standard base size that fits into almost all standard light bulb sockets. Made of aluminum, these E26 bases are rust and corrosion resistant. All our R20/BR20 bulbs have a CRI of 80+ and that means the bulbs provide for lighting in which the objects may look real up to the extent of 80% in comparison to an ideal or a natural light source. It’s not just the ultraviolet rays of sunlight that can cause various skin diseases, eye diseases or any regular illness. The UV radiation in the artificial light could equally be harmful and which has scientifically been proven. To that end, all our products including bulbs are free from any harmful infrared or ultraviolet radiation. 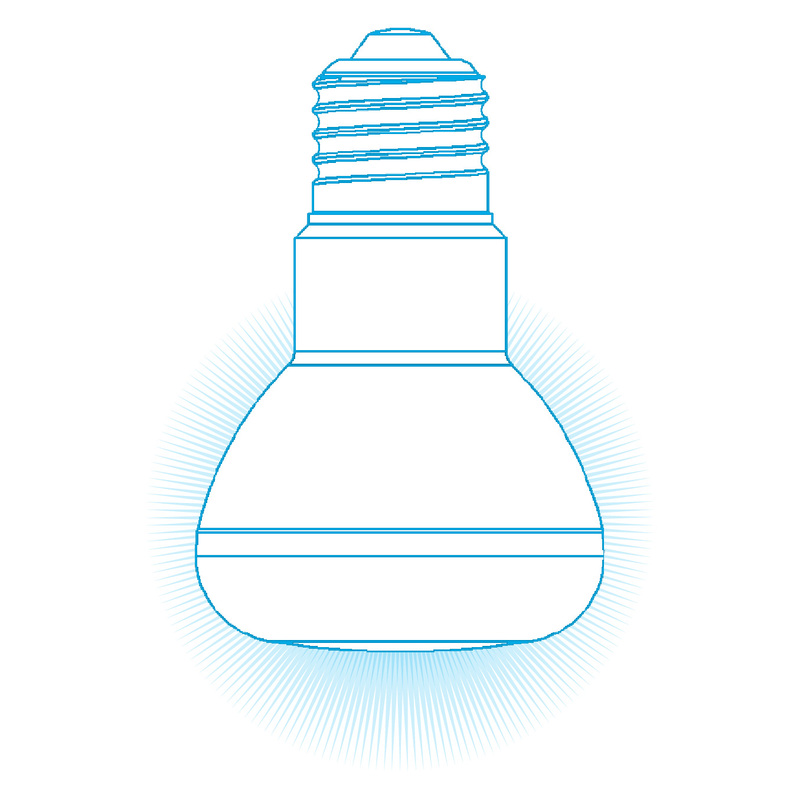 Our bulbs are also flicker-free unlike any of the conventional light bulbs such as incandescent or halogen bulbs. 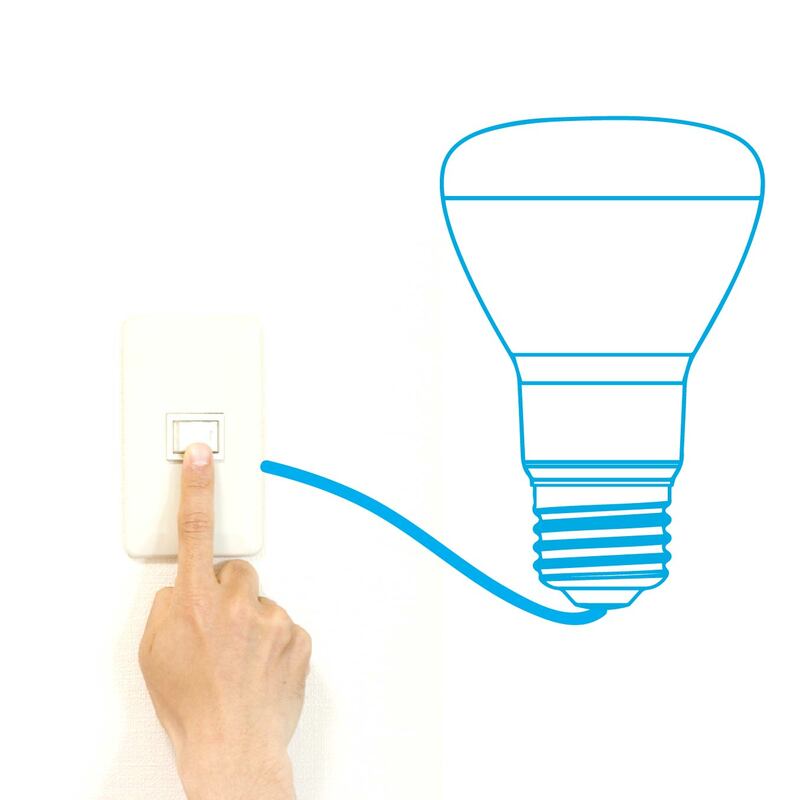 These bulbs need no warm up and hence are an instant-on without any flickering effect. This flickering can disrupt your ongoing activity and if it’s on a consistent basis may cause irritation and sometimes seious ailments. All our bulbs utilizing the latest solid state lighting technology are premium quality bulbs and such bulbs when installed in any area can virtually eliminate all the dark spots, thus keeping your area well-illuminated at all times. Our R20/BR20 bulbs have a service life of 50,000 hours, much longer than what you could have from the traditional bulbs. This long lifespan relieves you of any replacement hassles and also minimizes your maintenance costs. Our bulbs come with bases that are completely rust-free and so it’s easy to take out and screw back in, whenever you want to. Most of our bulbs are either DLC or Energy Star certified indicating that you can be a part of the rebate programme offered by the public utility companies.